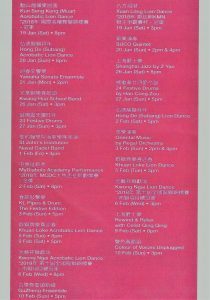 Home Places To Go Have a Splendiferous Chinese New Year at 1 Utama! The year of the Pig is among us! 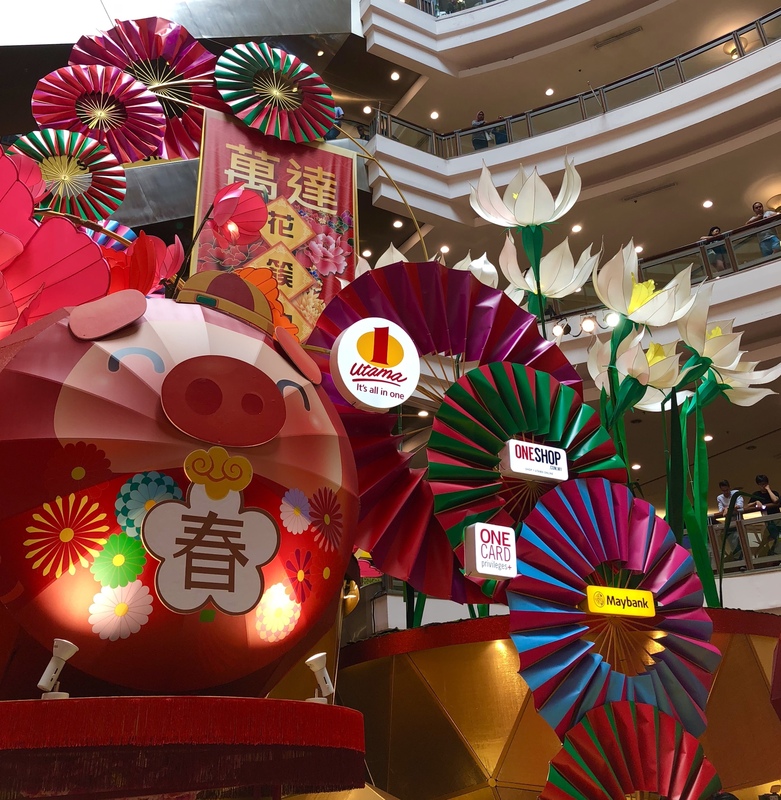 In conjunction with the upcoming Chinese New Year, 1 Utama Shopping Mall promises an exciting time for all visitors with magnificent and exhilarating festivities! Also, is CNY really CNY without some decadent reunion F&B delicacies? Gorge yourself silly with all that 1 Utama has to offer! From 16 January right up to 10 February 2019, visit 1 Utama Shopping Mall, and experience a “Splendiferous New Year” there! Visitors can expect a modern floral garden embellished with pink daffodils, peonies, and cherry blossoms. Located at the LG Oval Concourse, it associates with this year’s “Splendiferous New Year” theme. Furthermore, these blooms are arranged atop giant golden baskets, turning your average flower arrangements life-size and absolutely “Instagrammable”! Chinese New Year and the colour red are inseparable, hence the rows of red lanterns and colorful “fortune windmills” inside the shopping mall. 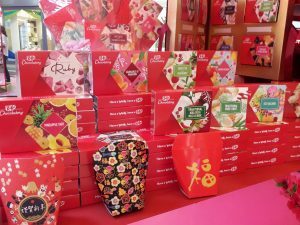 Concurrently, festive goodies such as homemade confectionaries, cookies, decorative home accessories, and oriental-designed clothing are also available. 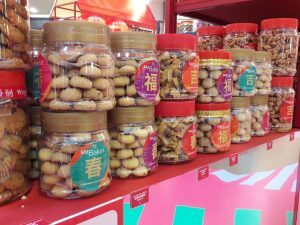 A wide array of Chinese New Year booths are located at three different locations: LG Oval, LG Highstreet and GF Centre Court; making it super convenient to pick up any of these goodies! 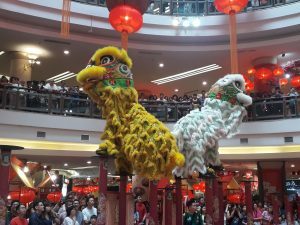 Amidst the Lunar New Year celebrations, 1 Utama promises an exciting line up of live acrobatic lion dance performances, cultural dance shows and stage musicals. After all, the steady beat of the drum and clash of the cymbals are a must during any CNY celebration! For your convenience, here is the full list of 1 Utama’s upcoming programmes! Bring out the star in yourself! Simply scan 1 Utama’s auspicious QR code via your mobile phone, followed by selecting your desired CNY tune. Sing, dance and own the stage as the lights shine on you! Health is wealth this Chinese New Year! 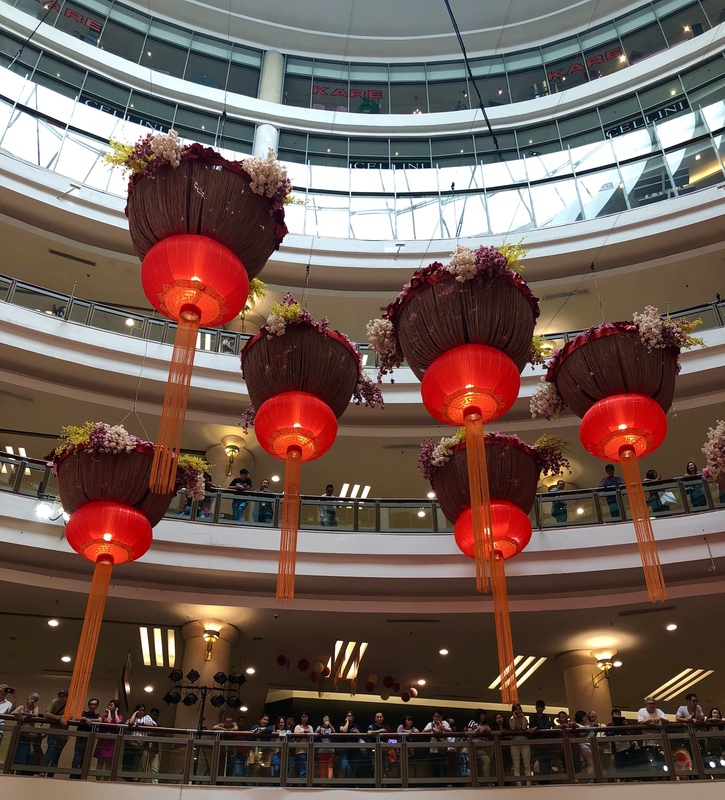 Take a photo/video or selfie of the mall’s CNY decorations and simply upload to your Instagram and of course, don’t forget to #1Utama. Remember to follow 1 Utama’s Instagram page @ 1Utama in advance and stand a chance to win a nutritious box of Chicken Essence. Note: Maximum 2 cumulative receipts dated on the same day at any ONECARD participating outlets. Gifts are limited edition and customised, and are strictly on a first-come-first-serve basis. Put it this way: last year, all their CNY gifts ran out in 5 days, so you might want to get yours… right now. 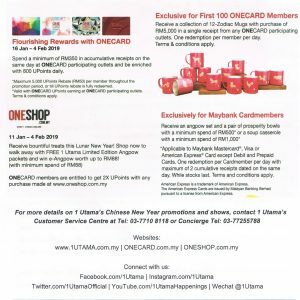 1 Utama will never leave ONECARD members behind when it comes to rewards. Spend a minimum of RM350 in accumulative receipts on the same day at any ONECARD participating outlets and earn up to 800 UPoints daily. This offer is valid from 16th January till 4th February. In the meantime, shop online at ONESHOP and walk away with a complimentary limited edition angpow packets and e-angpow worth up to RM88. This offer is valid from 11th January till 4th February. Maybank cardmembers will receive an angpow set with a pair of prosperity bowls if you spend a minimum of RM500. On the other hand, spend a minimum of RM1000 to get yourself a soup casserole. 1 Utama has once again outdone themselves as always when it comes to elevating the hype for festive seasons. 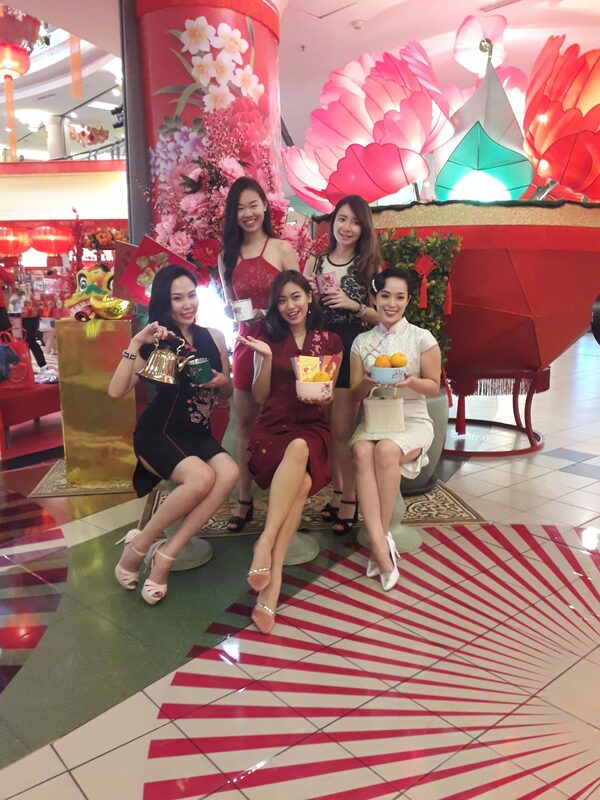 Gear up for a bountiful celebration with fortune blooms, prosperous rewards and abundance of festivities at 1 Utama this CNY, and see you there!